Hillsboro has programs in place to educate customers of all ages on efficient water use. The city communicates regularly with its customers via brochures, bill inserts, city newsletters, its website, local outreach events and other media outlets. 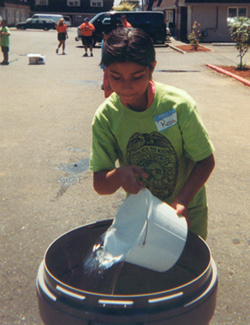 Hillsboro runs local programs, including an annual school calendar contest and outreach activities at events such as the Latino Festival and the Northwest Children’s Festival. . Hillsboro also manages programs and outreach efforts for the JWC and actively participates in educational development and implementation efforts for the RWPC. Where’s Rosie? Puppet Show -- A puppet show that was developed by the RWPC to teach the water cycle and water conservation to Kindergarteners, 1st and 2nd graders. Hillsboro typically sponsors 8-10 Rosie performances in venues such as schools and libraries. The show is performed by a professional puppet theater company. Incredible Journey -- A Project Wet curriculum activity that uses beads for graphing a water drop’s journey through the water cycle. Drop in the Bucket -- Another Project Wet activity that visually demonstrates how little fresh water there is actually available in the world for drinking. Common Water -- A Project Wet activity that was modified by staff to include a lesson on Hillsboro city history. Students learn how the water available in the Tualatin Watershed is the same amount as what was available 200 years ago. They see how the water needs to be shared with people, plants, animals, fish, the river, etc. Incredible, Edible Aquifer -- An activity that teaches about point source pollution and what happens if an aquifer is depleted by too much use. The Long Haul -- An activity that teaches how water was retrieved before pipes made the process as easy as turning on the tap. Students discuss how much less water was used back then per person and why, and if they would find ways to use less if they still had to haul water today. The lesson ends with ideas about how to reduce water use in current society, why that is still important, and why we should never take drinking water for granted. Mad Science "What do you know about H2O?" -- An assembly program that was developed by a joint venture between Mad Science and the RWPC that teaches water science and conservation. Water Quality and Quantity -- Teaches students the importance of high quality water and what that means to supply issues. Students are taught that high quality water is not available in endless quantities and as supplies are stretched, source quality can deteriorate. From Source to Tap - This in-depth lesson teaches students to care about their water and their watershed. It emphasizes how water demands grow, but sources often don’t, and how all life in a watershed is dependent on the supply. It also includes conservation from an infrastructure perspective – how it’s important that Hillsboro find and repair leaks in its transmission and distribution lines and why it’s important to keep water loss to a minimum. 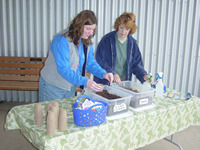 Seven Steps for Water Efficient Gardening - This activity is commonly used at summer events to promote water-wise plant choices and teach proper planting techniques., Participants learn why it’s important to amend dirt with compost to increase nutrient load and water-holding capacity and why they should use mulch to reduce evaporation and suppress weeds. Hillsboro staff also presents to other community organizations, both child and adult-oriented. Those groups include Boy and Girl Scout troops, the AARP, community garden groups and civic organizations. 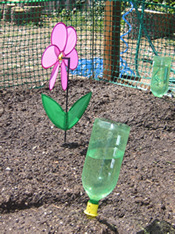 The presentations are tailored to the individual group, such as a "Seven Steps to Water-Wise Gardening" presentation for gardening groups. 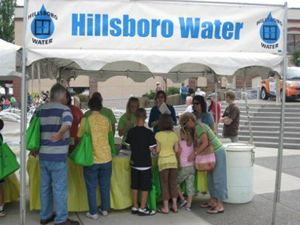 Hillsboro takes the lead in organizing and providing staffing for water conservation outreach at regional events such as the Washington County Fair, the Public Works Fair and the annual Community Action Fair, which is specifically aimed at low-income and minority citizens. Particular attention is paid at regional events to provide information in both English and Spanish, as Washington County has a significant Latino population. Hillsboro has a Water Department website that includes some information about water conservation. However, they also rely heavily on the RWPC website to provide more detailed information and web tools for assistance in water-wise planning. This makes the most sense for Hillsboro as it provides a significant portion of the funding for RWPC programs. Hillsboro actively participates in web development for the www.conserveh2o.org site.